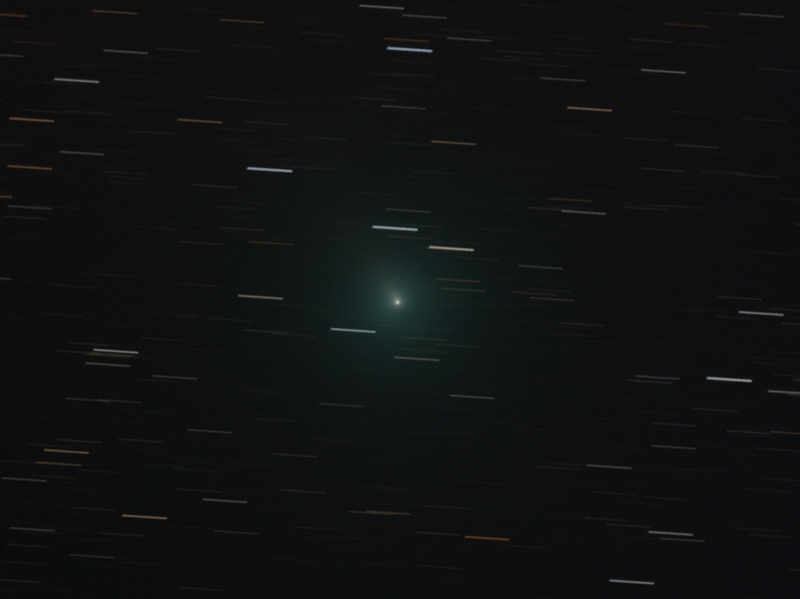 Calibration and stacking done with Deep Sky Stacker in comet mode. Background correction and noise reduction applied using Paint Shop Pro. The stars are trailed due to the comet mode stacking. The comet was fixed in each frame and aligned during the stacking process. The trailed stars are an indication of how far the comet has moved in less than a half hour!